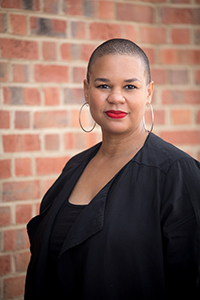 Donna Battle is a native of Yanceyville, N.C., and is passionate about facilitating spaces that are life-giving by supporting knowledge of truth, fostering healthy community and healing, and encouraging others to operate within their strengths. She enjoys spending time with her family, reading, watching movies, expanding her faith, and discovering new things about the world and universe. Donna holds a B.A. in public relations from North Carolina A&T State University, an M.Div. from Duke University with a concentration in spirituality, and a Ph.D. in marriage and family therapy at Eastern University. Prior to coming to Meredith, she served several local churches, was the executive pastor of The Way Christian Center in Berkeley, Calif., and was both a life coach and associate dean of the chapel at Shaw University.